Catch an enthusiast at a party and ask them about their favourite sports cars and they will certainly wax poetry about the golden age of the sports car - the 90’s. It was a time when Porsche still produced an air-cooled 911, and Skylines, Supras, and RX-7s all roamed the streets. The ethos of manufacturers were certainly different back then. Take BMW for example, who faced heavy criticism over the neutered S52 found in the U.S spec E36, so they decided to produce a special Lightweight E36 model just for track junkies - and thus the E36 M3 LTW was born. Try the same stunt today and your cries will have fallen mostly on deaf ears. Don’t let the pundits sway you though. While on the surface this mentality doesn’t look conducive for good entrants in the segment, take a deeper dive and it is evident that we are seeing a resurgence of the everyman’s sports car. Mazda has gone back to its roots with a lighter than original ND MX-5 Miata, Ford’s Performance program has ousted one of the best hot hatches we’ve seen in a long time, and let’s not forget Volkswagen Audi Group’s stellar MQB platform. Dodge cannot be forgotten amidst all of this either. 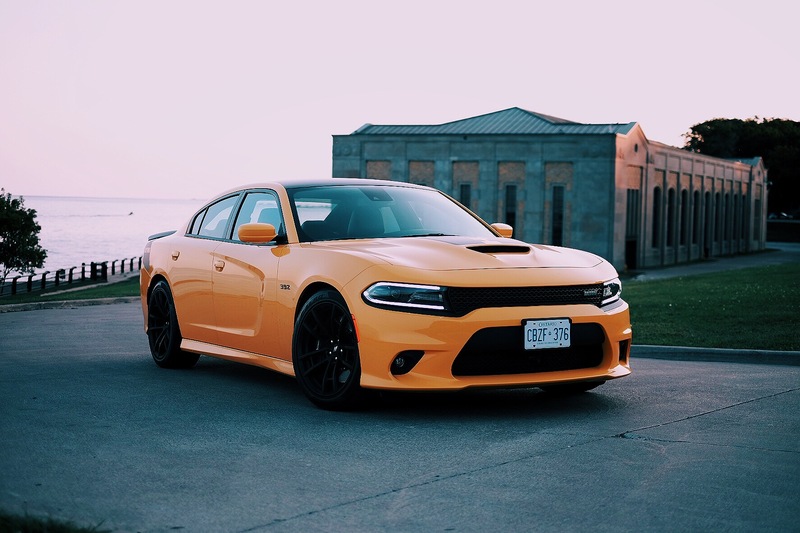 Sitting second from the range topping Charger Hellcat, the Daytona builds on the Charger SRT with a bevy of functional and cosmetic upgrades. 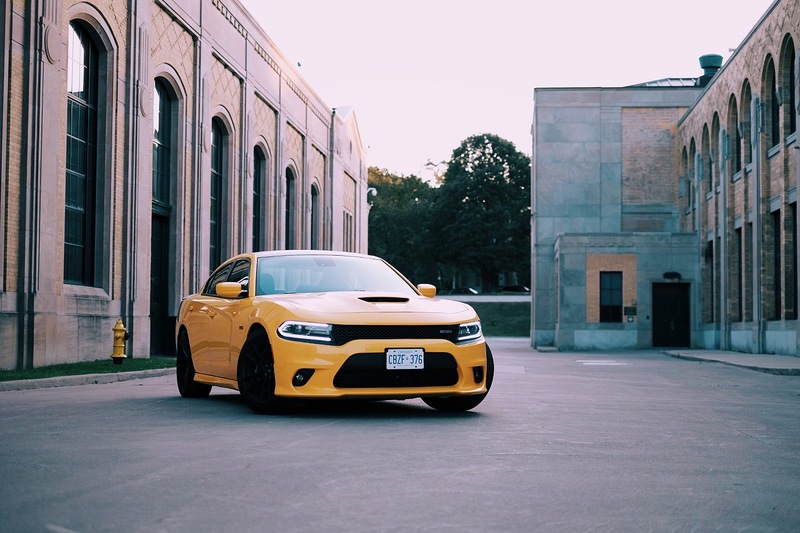 Only available in a choice between the 5.7L and 6.4L V8, this Charger was built to appeal towards classic American muscle fans. Cosmetic changes begin on the outside, featuring a series of matte black decals separating it from other Chargers. Out front, the letters HEMI are emblazoned on the hood. In place of the typical SRT corner grille badge, is a Daytona one. Up top, the dark contrast theme continues with a resprayed roof, in black of course. Rounding out the list is a subtle black spoiler with matching Daytona graphics down the quarter panel. The Daytona nameplate isn’t the only thing FCA has revived. Classic paint schemes like Go Mango, Green Go, and Yellow Jacket return too - our tester carried the latter - and it is a hell of a head turner. The scoring yellow hue steals glances almost everywhere it goes. Visually however, there’s no difference between the Daytona and other SRT’s sheetmetal, making the menacing front fascia a welcome sight on the Daytona. Inside, the 12-way power adjustable, heated, and cooled seats are custom embroidered with gold Daytona lettering, and the contrast stitching continues throughout the cabin. 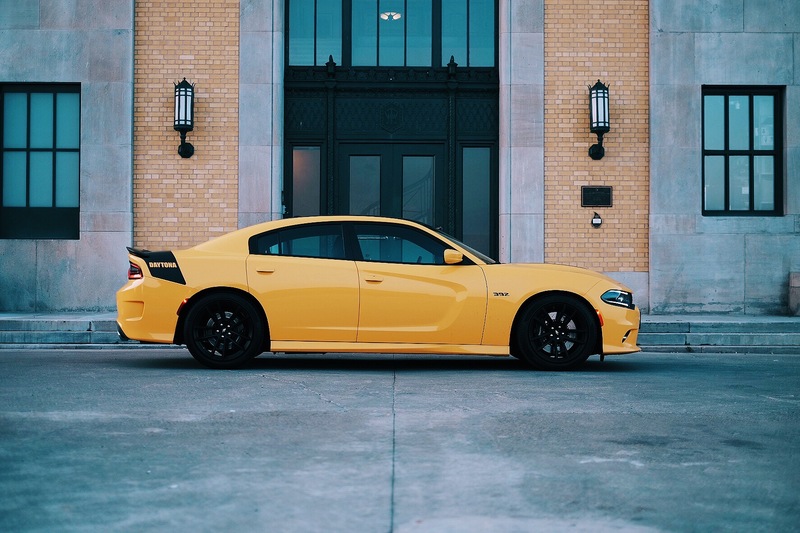 It is subtle, unlike the accents found inside the BRZ Inazuma edition, an extra detail that makes the sedan stand out from the rest of the family lineup, though otherwise, the interior is functionally identical to SRT variants. 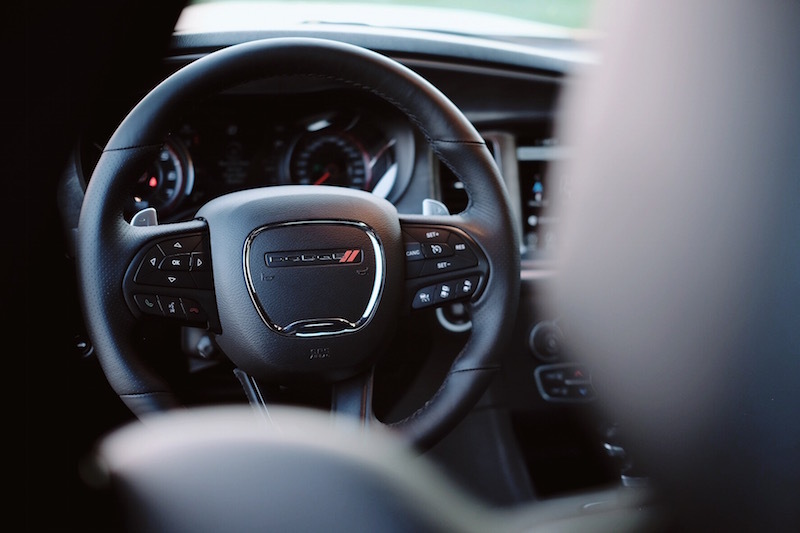 Dodge’s Performance Apps make an appearance here as well, offering a number of metrics and gauges to keep your eyes on all 485 horses under the hood. 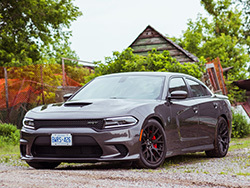 Fire up the 6.4L V8, and the Charger lets out a bark from the upgraded Burly exhaust. It’s business time. 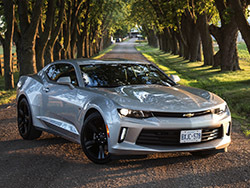 Mated to an 8-speed TorqueFlite transmission, 475 lb-ft of torque is routed to the rear axle. Cruising in traffic and the big V8 rumbles rhythmically along. The transmission provides smooth well timed shifts that are easily concealed by the background noise generated by the 8-cylinder. 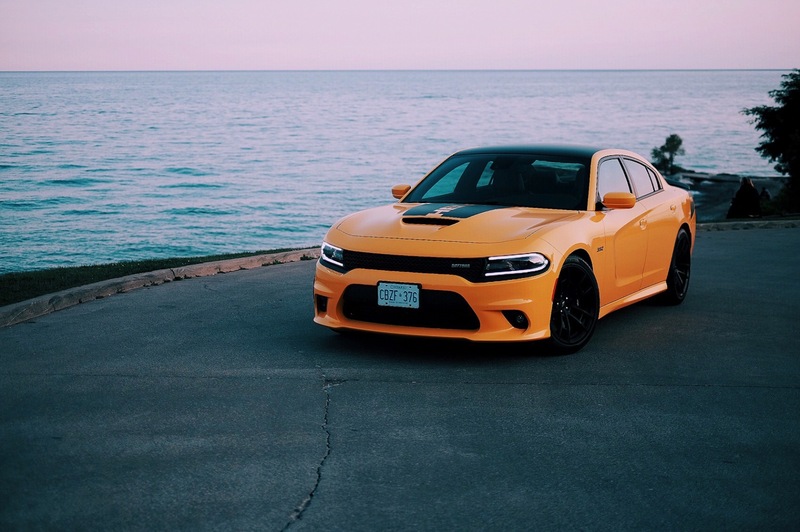 Put your foot down and the rumble of the Hemi changes immediately to a guttural roar. 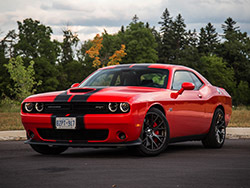 Dodge’s TorqueFlite executes bang on shifts with plenty of drama too. Mat the throttle in second gear and upshifts to third come with a glass-shattering bang from the exhaust. 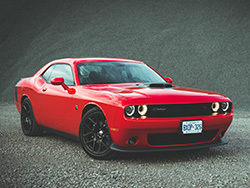 It’s an absolutely addictive experience, and Dodge should have used the on-board navigation to automatically roll down your window when approaching tunnels - as the movement was almost automatic for me after a week with the vehicle. In classic muscle car style, going forward is the star of the show, everything else...not so much. 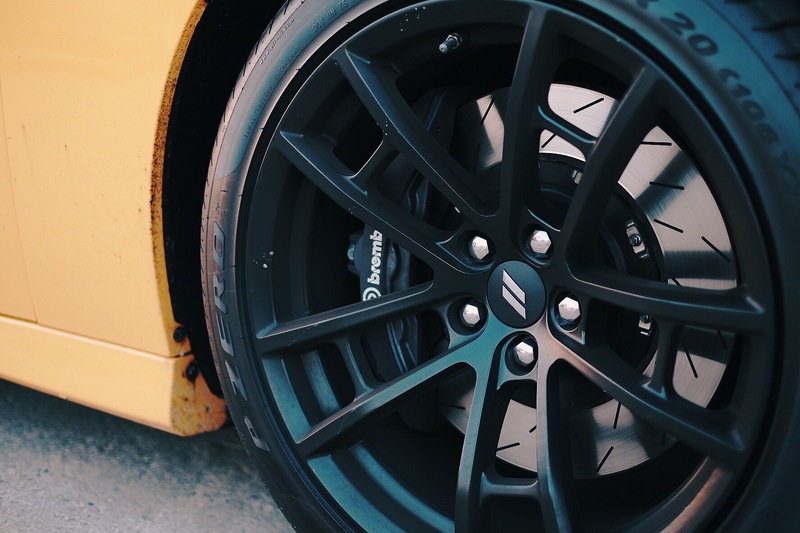 Tap the brakes and the massive Brembo calipers (shared with the SRT Hellcat) grabs the rotors with relentless vigor. 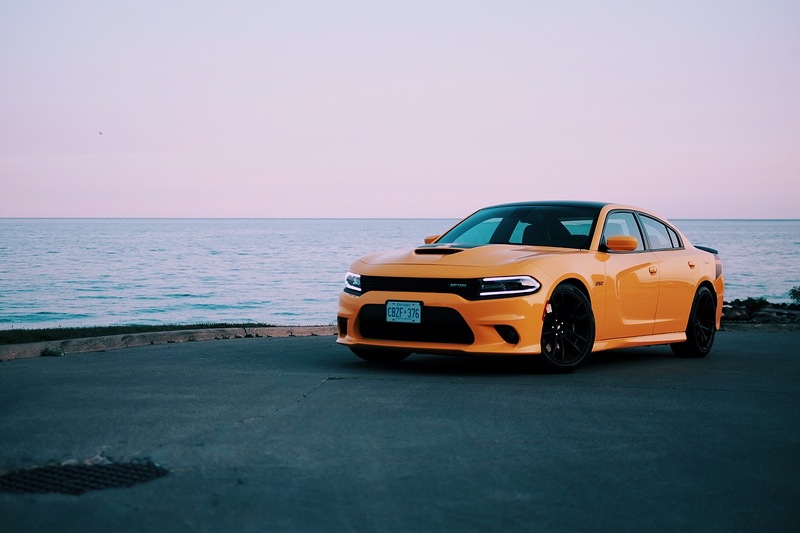 Though equipped with a stiffer Bilstein suspension, the rest of the car still lurches forward, pitching heavily giving the driver an excellent view of the potholes directly below them. Cornering is a similar affair, with heavy lean that may well rival a small dinghy. Our Yellow Jacket wasp came in at an as-tested price of $62,475 which included the Beats audio group ($995), a $1,895 technology group that adds all the latest safety features, and a $995 driver convenience group (puddle lamps, bi-functional projector headlamps, and heated/dimming exterior mirrors). Today’s performance segment is experiencing a renaissance. 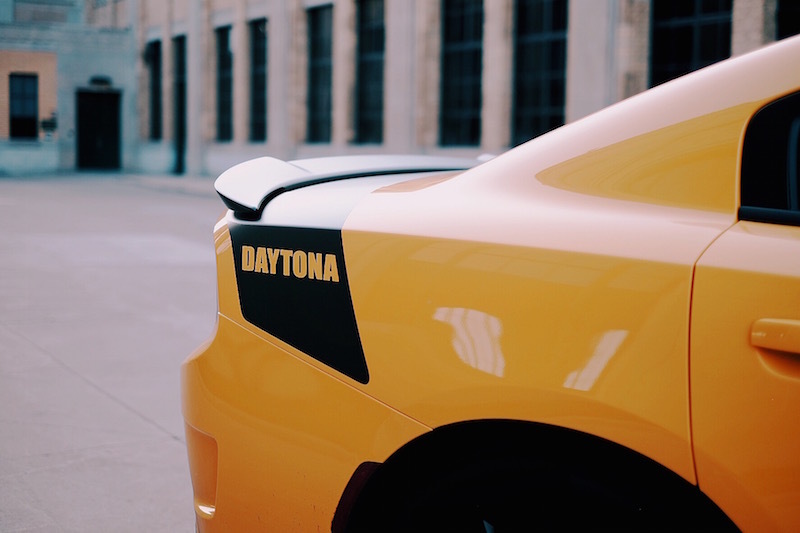 The market is burgeoning with entrants and it provides the consumer the option to choose a toy that suits their personality, and the Daytona easily serves up a different kind of fun. Stab the throttle at a light, and the car will almost instantly light its rear tires up. 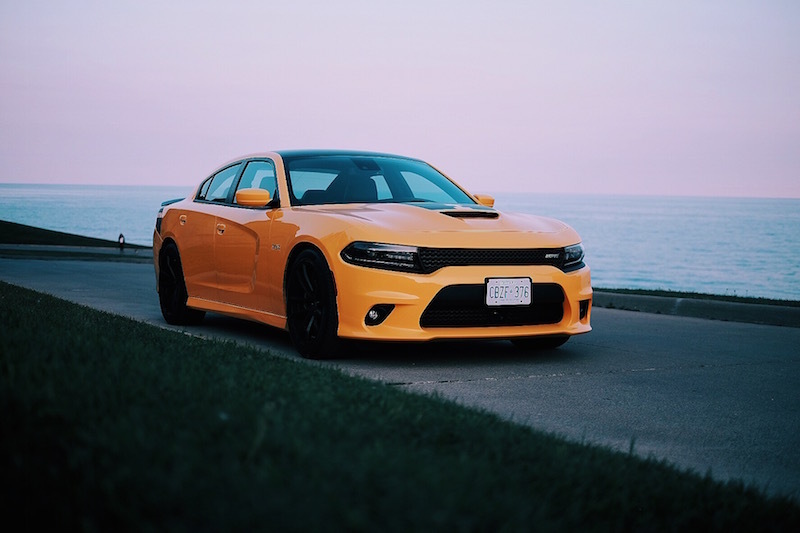 From the bright yellow paint, to the loud and proud V8 under the hood, the Charger is all about showboating and the drama, and in today’s market that’s a good thing. Sometimes performance doesn’t always mean speed in a road course.